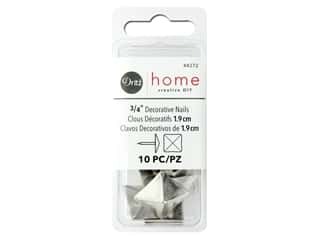 Dritz Decorative Nails 3/8 in. Round Smooth Nickel 36 pc. 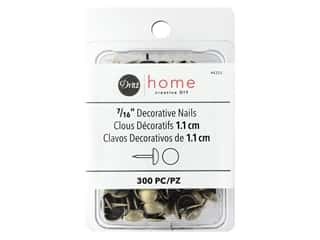 Dritz Decorative Nails 5/8 in. Round Hammered Antique Brass 24 pc. 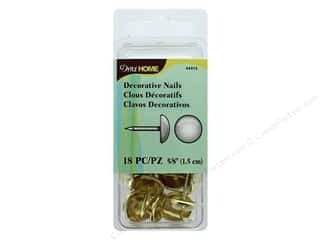 Dritz Decorative Nails 5/8 in. 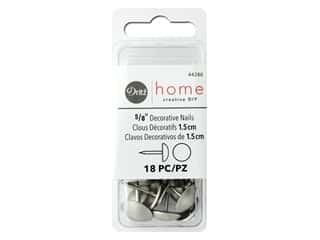 Round Hammered Nickel 24 pc. 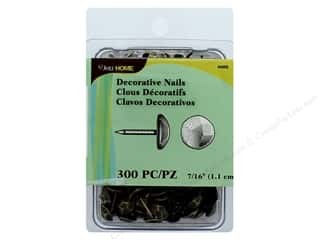 Dritz Decorative Nails 15/32 in. Round Daisy Head Antique Brass 24 pc. 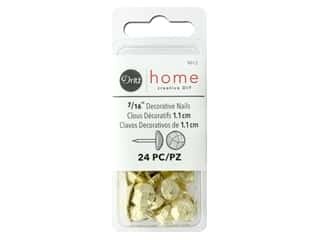 Dritz Decorative Nails 7/16 in. Round Smooth White 24 pc. Dritz Decorative Nails 7/16 in. Round Smooth Nickel 24 pc. Dritz Decorative Nails 7/16 in. Round Smooth Black 24 pc. Dritz Decorative Nails 3/4 in. Square Head Nickel 10 pc. Dritz Decorative Nails 7/16 in. Round Hammered Black 24 pc. Dritz Decorative Nails 7/16 in. Round Smooth Gold 300 pc. 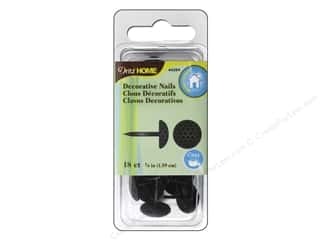 Dritz Decorative Nails 3/8 in. Round Smooth Black/Gold 24 pc. 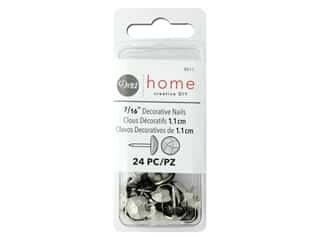 Dritz Decorative Nails 5/8 in. Round Hammered Black 18 pc. 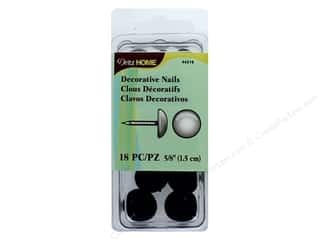 Dritz Decorative Nails 5/8 in. Round Smooth Black 18 pc. Dritz Decorative Nails 7/16 in. Round Hammered Antique Gold 300 pc. 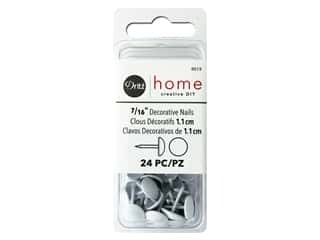 Dritz Decorative Nails 7/16 in. 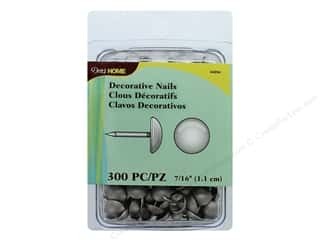 Round Smooth Silver 300 pc. 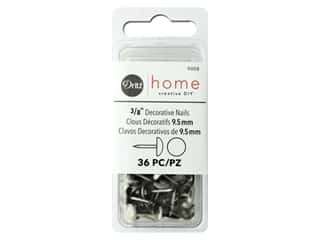 Dritz Decorative Nails 5/8 in. Round Smooth Light Gold 18 pc.